The lemon tree, like other citrus trees, has its origin in Central Asia. The Arabs introduced the lemon to Europe in the 12th century. It was first refined in the southeast of the Iberian Peninsula. It is by no accident that the juiciest, most aromatic lemons are found in the Murcia region in Spain. After being customary in Southern Europe, it was introduced to the Americans by Spanish explorers in the 16th century. Today it is cultivated in moderate regions on the five continents. Although the lemon does not prosper in extreme cold or heat, it needs several cold nights while the fruit is ripening to change its colors from green to yellow. It is because of this that lemons in tropical regions tend to be green, as also happens with oranges and other citrus. However, the most fascinating workings of lemons are its phytochemicals. These are substances that lack any calories, and they are neither vitamins nor minerals. The recent discovery of these substances in foods and their remarkable preventative effects on cancer and other diseases is one of the greatest advances of nutrition science. Anemia: Lemons should shape a customary part of the diet of anyone suffering from anemia. 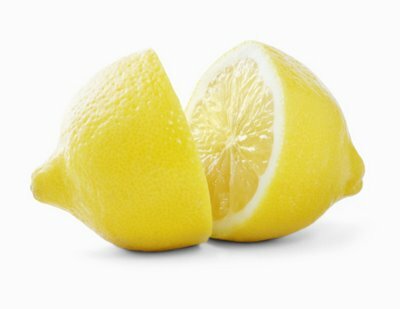 The lemon also contains a certain amount of folic acid, which aids blood production, as well as many other protective functions, particularly in pregnant women. Circulatory disorders: Lemons strengthen the circulatory walls, improve the elasticity of arteries and reduce the blood's tendency to excessive clotting. Excess uric acid: The lemon is highly effective in eliminating uric acid, which is a waste product generated within the body and must be eliminated in the urine. Excess uric acid is a major cause of Gout. Kidney stones: A lemon treatment is very effective in helping dissolve kidney stones. Infections: Because of their vitamin C and phytochemical content, lemons improve the body's immune system's ability to resist infections. Lemons are good for all types of infections whether viral or bacterial. Digestive disorders: Lemon juice diluted with water is an excellent beverage in cases of diarrhea, gastroenteritis, or colitis. Regular lemon use with meals can also contribute to neutralizing many of the carcinogens found in foods and the environment, and in this way, help prevent cancer.